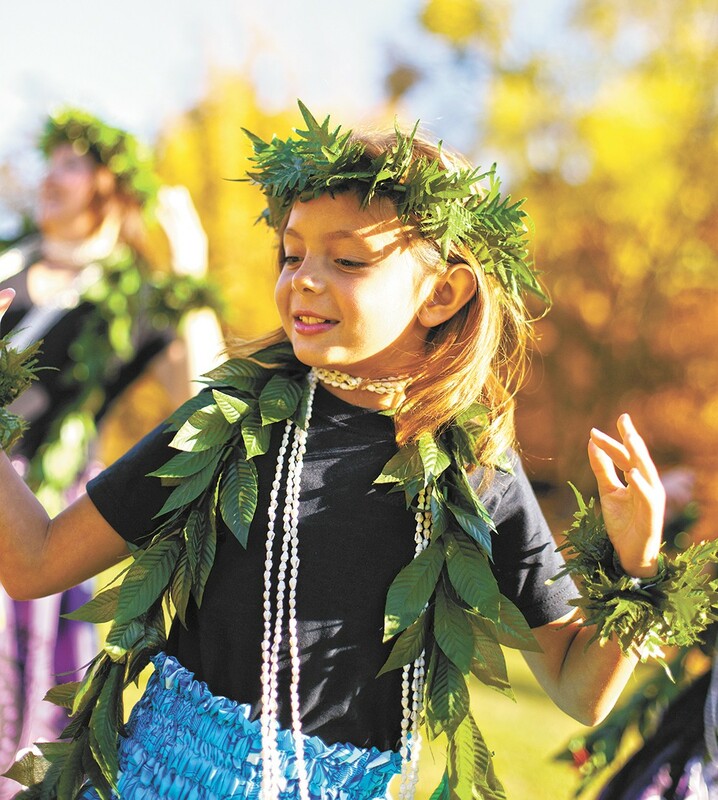 Northwest Hula Company's Maddy Pearson, 8, practices with her dance troupe before the Spokane Fall Folk Festival. The first Spokane Fall Folk Festival guaranteed two things: the event would feature food and electricity. There would be music and dancing and a collection of other artistic elements, too, but they really wanted to get the word out over the airwaves about the ample power and food available at the Unitarian church hosting the event. It was it was mid-November of 1996, a month and year that longtime residents probably still shudder at, remembering that dreadful period simply as "Ice Storm." "They had power there, and we had food, and we thought that we'd be a big draw," says current Fall Folk Festival director Sylvia Gobel. "They were surprised how many people turned out, though." People did brave their way through the icy streets, and not just for the food and warmth, it turned out. They came to see the collection of traditional music, dancing and art that Spokanites would be hard-pressed to find elsewhere throughout the year. A few years later, the festival outgrew its location a couple of times, eventually landing at Spokane Community College, which this year hosts more than 100 performers. The acts range from the sort of "folk" music most casual music fans would associate with the word, but also traditional klezmer, African and Celtic dance troupes, youth choirs and more. That "folk" word means a lot more than you might think, it turns out. And the SFFF is fine with keeping things broad. 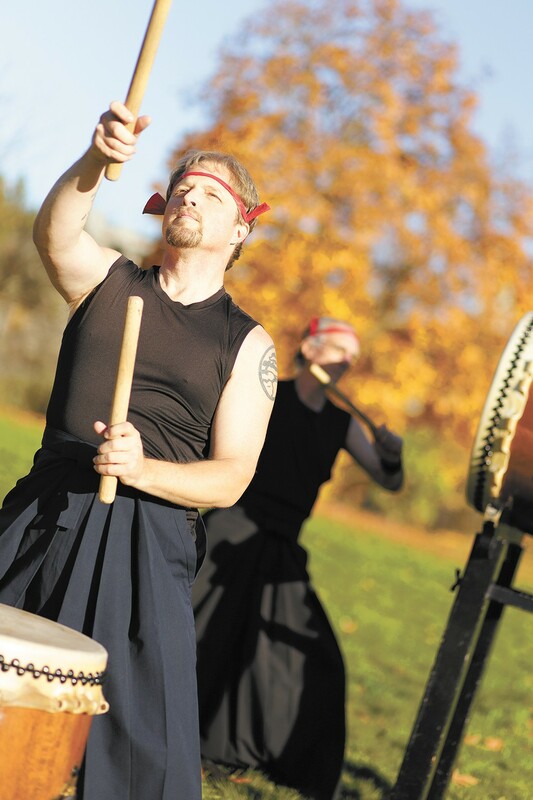 Spokane Taiko drum group's Johnny Sarenson, left, and Finn Pond are set to perform at the Folk Festival this weekend. "The true definition states that folk is something that's been handed down from your grandfather or whatnot, that you've been passing down," says Gobel. "But if I was suddenly going to learn Cuban folk music, that would still be folk music, even though I'm not Cuban." Surprisingly, Gobel and the SFFF committee don't have to explain the festival's definition of folk very often to prospective performers. In all the festival's years, Gobel says she's only had to turn down two or so acts because they didn't fit the event's mission. "As long as it's international or folk we take it. We have a few folk-rock acts, but we wouldn't, for example, have a classical quartet or a straight jazz," she says. What comes out of those parameters is a one-stop-shopping opportunity for the community to see (and perhaps even learn to perform) music and dancing that have roots in cultures from around the world. "The comment that I hear the most is, 'I never knew there were so many musicians in Spokane.' I think people are shocked that there's all of these [cultural] communities in our backyard," says Gobel. Mary Ann Souza moved to Spokane in 1985 from the Big Island of Hawaii. She's been hula dancing on the island since she was 5 years old — it's as common for young girls as taking ballet lessons on the mainland, she says — and now owns Northwest Hula Company. The group teaches traditional Hawaiian and Polynesian dances to kids and adults, most of whom have a familial connection to the islands. For Souza, the SFFF is a chance to remind Spokane that there is a Hawaiian community here, and that hula dancing isn't just a novelty for hotel commercials and dashboard decorations. "People need to understand that it's not just a fancy dance. This is a culture with a lot of history, and there's that history in the dance," says Souza. "It's important to share that with people. It's a beautiful experience to keep alive." For Souza, part of the SFFF experience isn't just performing, but learning about other cultures. She says it's a chance for people in the city to educate each other: "It's important for us to appreciate these cultures." Keeping with the inclusive spirit of the festival, SFFF has always been, and remains, a free event. That means the performers are not paid and the festival's operation is powered completely by volunteers. The reason so many people put in the hours of rehearsals, scheduling, setting up of infrastructure and other efforts, says Gobel, all comes down to one word — education.